Automatic—Automatic is the default option. Starting Nov. 14, 2017 for Rapid Release domains and Nov. 28, 2017 for Scheduled Release domains, we will gradually transition your users to the new UI. The transition will take about 8 weeks (including opt-in and opt-out stages). No action is required on your part for the Automatic option. Manual—Alternatively, you can choose to manually control when to move your users to the new UI in the Google Admin console. For example, though we’ve worked with the developers of the most popular Calendar Chrome extensions to prepare for the new UI, you might have users who depend on an extension that hasn’t been updated yet. 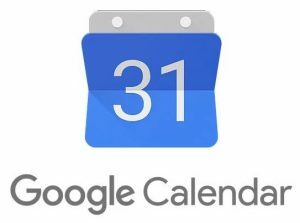 To choose the Manual option, go to Apps > G Suite > Calendar > New Calendar. Here, you can set by organizational unit when you’d like your users to access the new version of the Calendar UI. If you choose the Manual rollout option, please plan to transition all your users to the new UI before Feb. 28, 2018. Any users who are still accessing the old Calendar UI on Feb. 28, 2018 will be transitioned to the new UI, with no ability to opt out. We recommend this article for more information on how to transition your organization to the new Calendar UI. You can also read the G Suite Updates Blog announcement for details on the launch. If you have additional questions or need assistance, please contact G Suite support.